I find the body of christ at church doesn't fill me up enough, they only give you a tiny bit, and usually I'm still craving more Jesus by the tme I get home. 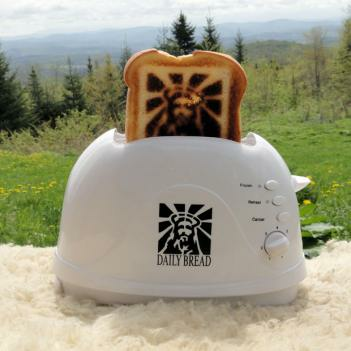 The Jesus toaster imprints the face of Jesus on every piece of toast you make. Now you can eat the body of christ every day, with a bit of jam.